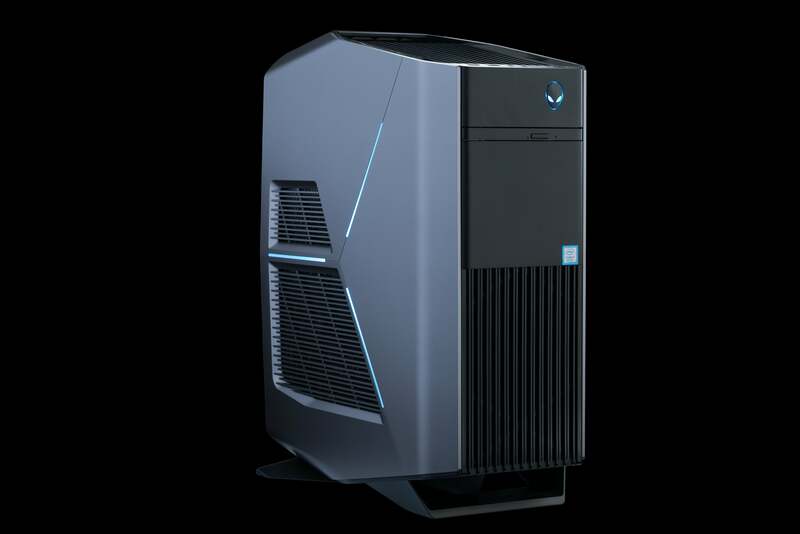 The Aurora is our smallest desktop supporting liquid cooled CPU overclocking AND dual graphics, in history. Enjoy rich 4K Gaming details, equal to the amount of pixels found in four 1080p screens. Aurora can meet and exceed today's most demanding VR requirements. Inspired from Area-51's design with customizable AlienFX lighting. Aurora's internal layout and chassis fans prioritize performance by delivering fresh air to the most critical components. Aurora's chassis lets you access all major components easily and quickly. PSU SwingArm enables secure graphics, tool-less expansion, and a compact design. Now with a Type-C connector, audio in/out, and dual USB 3.0 ports. Aurora offers up to 10 rear USB ports, digital audio outputs, and Killer Gigabit Ethernet. From factory, Aurora is delivered with one screw to keep it locked during shipping. Upon delivery, this screw may be removed. The remaining lock hole can be used to secure and lock your Aurora desktop for increased security.